Many of us believed that bathroom is one of the most boring place when it comes to interior designing that it doesn’t hold any possibility to have a major artistic look. You might see it on the internet or in the magazine with high fashion look and high tech facilities for bathroom, but having it as your own might be close to impossible if you have a very limited budget. 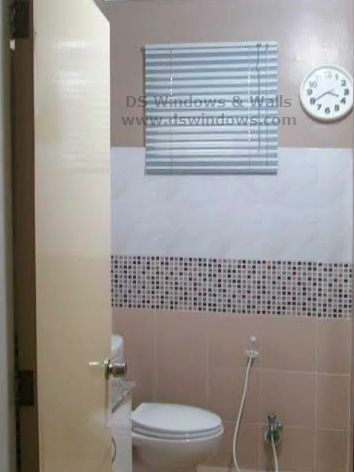 These are only the few beliefs we have when it comes to beautifying our bathroom, but some people use this as a challenge to excel their little creativity like one of our client in Valenzuela City, Philippines. Like as many other household, their bathroom has the smallest space and that is the biggest setback that all of us possibly experience. Because of the limited space, our client can only use almost the necessary things needed in the bathroom. One of the necessary things that she uses that can also add beauty is a Venetian Blind as a window cover with two alternate colors for more interesting look. The walls also have small tiles with a lot of different colors for more variety looks that match with white and grey window cover that they opted. Venetian Blinds is also the perfect window cover for damp places because of its aluminum material. Creating a difference even the smallest detail can hugely affect the beauty of your room, like combining colors for your Venetian Blinds. 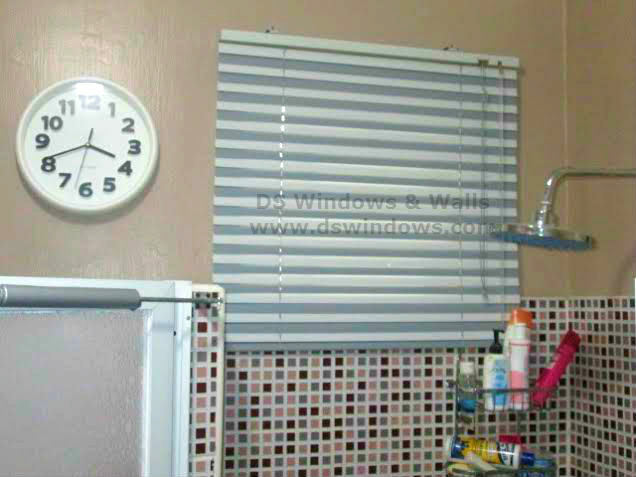 DS Windows & Walls offers different colors of venetian blinds that you can combine without additional charges. You can visit our showrooms at 2nd level Pacific Mall Lucena City, 3rd level Robinsons Metro East, Pasig City and 4th level Waltermart, Makati City. 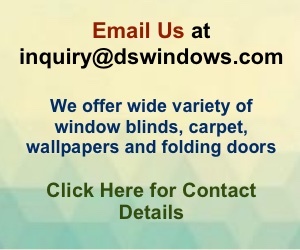 For more inquiries call us at (02) 893-1373 / (02) 403-3262 / 0916-311-3909 or email us at inquiry@dswindows.com.